This 32-page booklet contains instruction and references both power unit and attachments. for the ATCO Autoscythe. 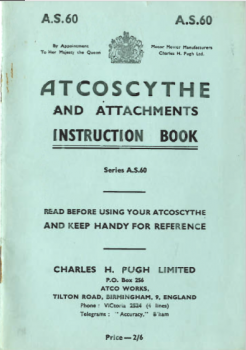 This book contains instruction, references for both power unit and attachments on an Atco Autoscythe. Comes with Full parts list for both power unit and attachments.